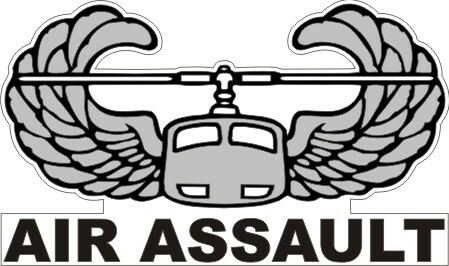 Army Air Assault Wings. Black, White, Black on Silver. 4", 8", 12". Other sizes and colors available. Goes great with the Ranger Logo.